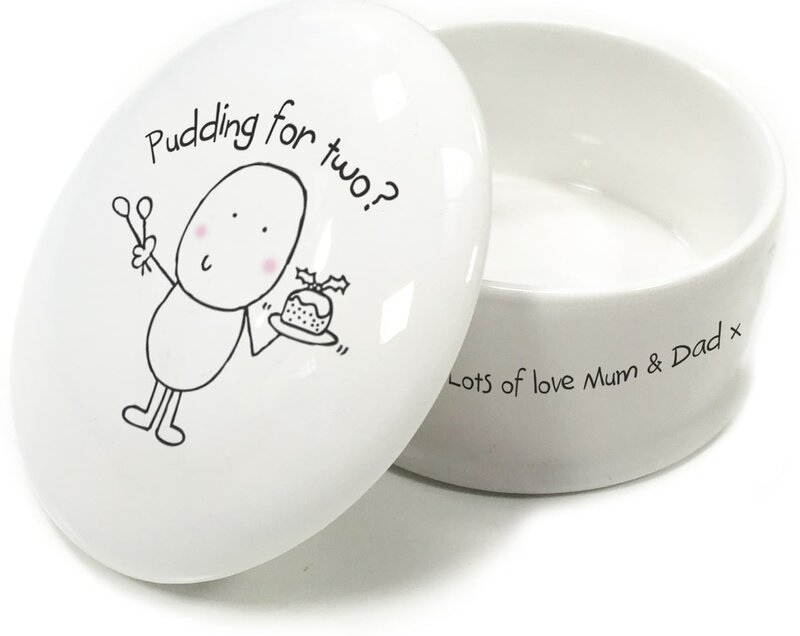 Our Chilli and Bubbles character adorns the lid offering Christmas pud for two, all that needs to be done is to add your message which we print around the china base. The perfect gift for your loved one to treasure, and definitely something to show you treasure them this festive season. Whether they drink whisky or just orange juice, they'll think of you when they use this personalised glass tumbler. 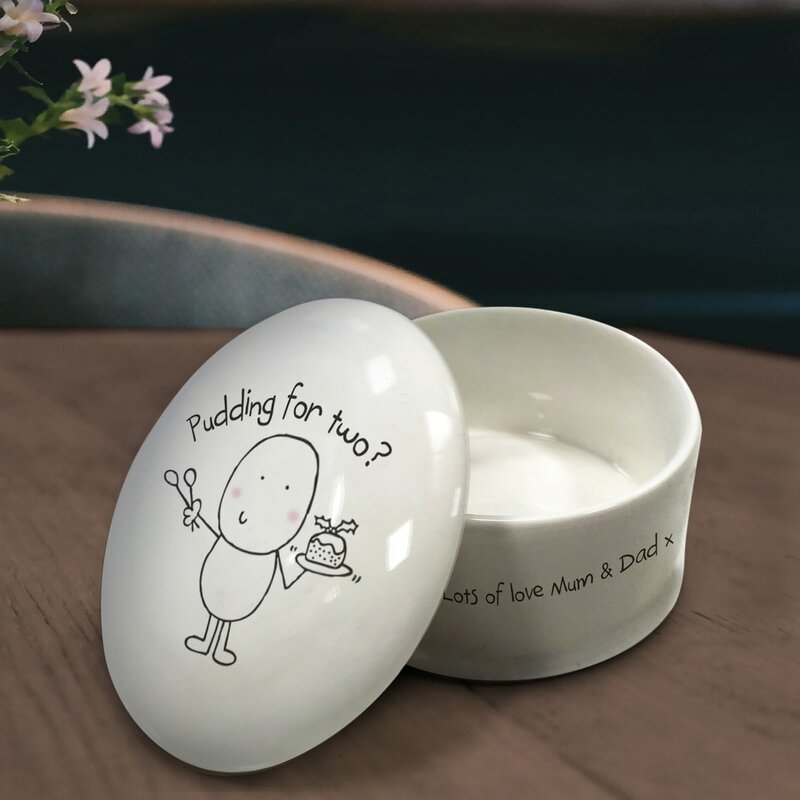 This bauble may not be as tasty as a pudding, but it is definitely more heartfelt.